Sandgate, north of Brisbane, is a suburb situated on the shores of Moreton Bay. Land sales commenced there around 1853. its location on the bay made it attractive to day-trippers from Brisbane, so it was connected to Brisbane with a rail line in 1882. In the same year, Richard Gailey designed a Municipal Chambers and Town Hall - this is it. 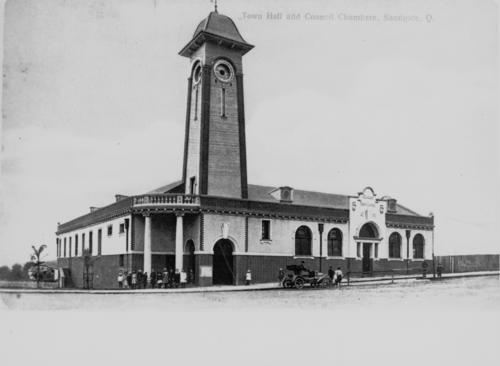 In 1910 the Gailey-designed town hall burned down, and it was decided to build a new premises closer to the post office and the railway station. 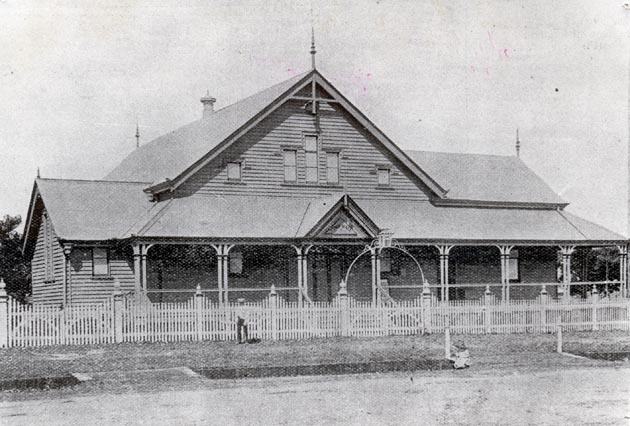 Architect TR Hall was the Sandgate Town Clerk, and he designed the new building. 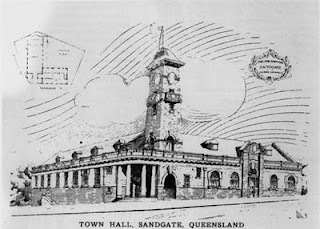 Hall was later to design the Brisbane City Hall with his colleague GG Prentice. The foundation stone for the new building was laid on 14 October, 1911 - 100 years ago today. Builder J Gemmel constructed the town hall for £5000, and it was opened by the governor of Queensland in October 1912. 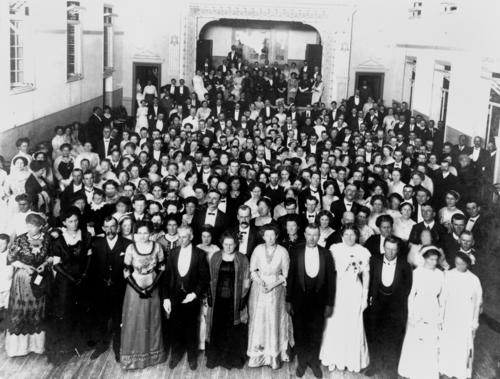 Here is a photograph of people attending a ball around that time. 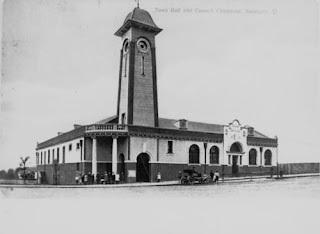 This is a photograph of the nearly completed town hall - the clock faces were not installed in the tower until 1923, and they are missing in this next photograph. The clock was built by Gillet & Johnson in England in 1877, and is one of the oldest in Queensland. 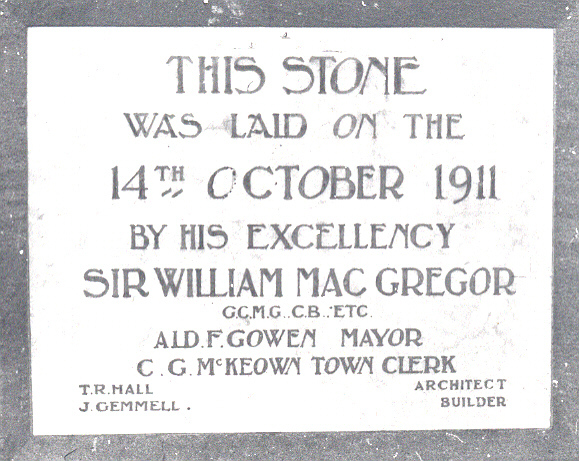 Prior to its installation here, it had been in service in the Ipswich Town Hall. 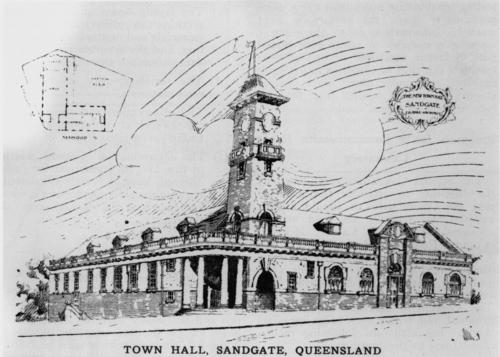 Sandgate was folded into the Brisbane City Council in 1925, and since that time the suburb has been part of the BCC. 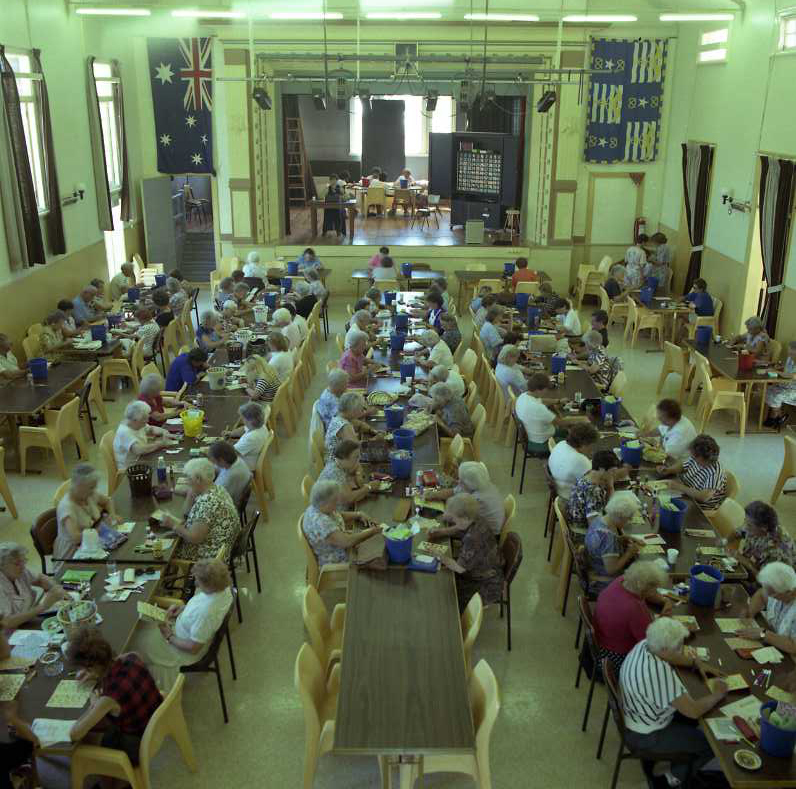 Over the past eighteen months the Sandgate Town Hall has been refurbished, enabled by almost $4 million in funds that came from both the Brisbane City Council and the federal government. 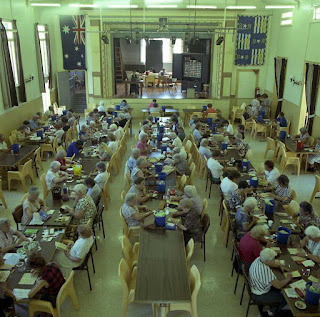 The refurbishments are finished and the building is back in business as a multi-function facility for residents - it won't be long before the bingo sessions are in full swing again! There will be an official reopening in December, and celebrations are planned to commemorate the building's centenary next year.